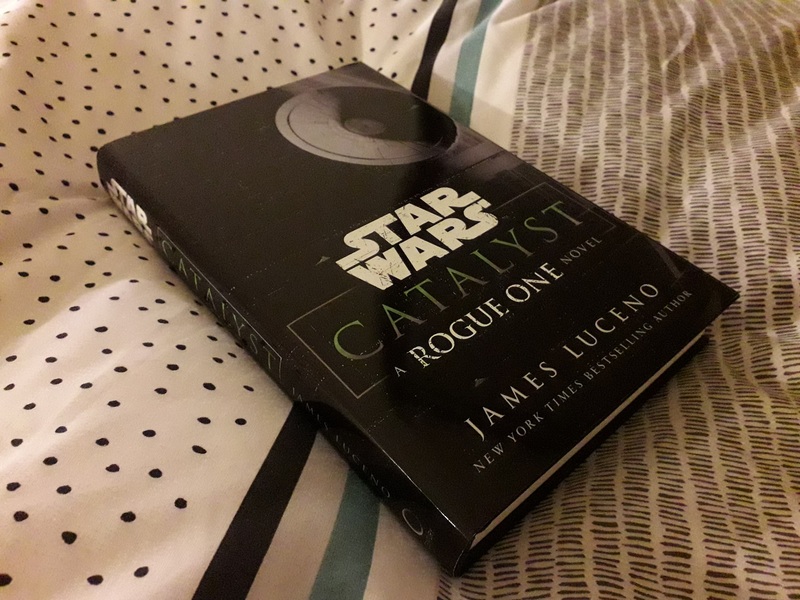 Continuing to make my merry way through the new Star Wars canon, I’m just done reading Tarkin by my old favourite, James Luceno. What a good book! It wasn’t what I was expecting, and it wasn’t what I wanted it to be, but my goodness, it was good all the same! First of all, this is essentially a biography of Grand Moff Tarkin, but principally told through flashbacks, as Tarkin remembers key moments from his upbringing that clearly inform his actions as an adult. I wasn’t really expecting or hoping for this, as I don’t honestly feel that we need to know that Tarkin’s childhood was a harsh one, with very primal lessons drilled into him as he was mentored by his great-uncle in the wilds of Eriadu. I know he’s the villain of A New Hope, and his ruthless, uncompromising nature led to such atrocities as the Death Star – and that’s fine, I don’t need to see why he is like this; it’s enough that he is. I think I was hoping for something that shows us the Grand Moff in his prime, not necessarily working on the Death Star project, though that is of course a big part of his story. We do get some of this, as the main storyline involves Tarkin pursuing a group of dissidents who have stolen his ship. Vader is along for the ride, and there are some really great moments between the two that show why the Dark Lord was essentially willing to play lapdog to Tarkin during A New Hope. I actually found myself really liking the fact that Tarkin doesn’t truly know who Vader is, but has a strong suspicion that it is in fact Anakin Skywalker, with whom he worked briefly during the Clone Wars. Vader is very much Vader, but we do get to see more of Emperor Palpatine, especially in Tarkin’s flashbacks as we see the Senator help him on his way. There were a couple of mentions of Palpatine’s master, and I feel like I would probably have gotten a lot more out of this book if I had also read Luceno’s Darth Plagueis. It’s still annoying to me that I haven’t gotten round to that one yet, but it’s increasingly in my sights, so expect a review once I’ve read it! Luceno can be very verbose, and sometimes goes to great lengths to tie in bits of continuity that sometimes feel forced. This was particularly a problem for his first Star Wars novel, Hero’s Trial, but had been less and less of an issue, but it’s now back here, unfortunately. There was also a cute little meta-moment where Tarkin is being fitted for a uniform and remarks on the importance of boots that fit properly, recalling Peter Cushing’s experiences on the set of the film. That’s pretty much the only thing I can find to say that’s actually bad about it. Sure, I wish Tarkin had been treated much as Palpatine was in Cloak of Deception, and have him be the centre of attention without delving into his background like this, but aside from making Tarkin appear somewhat sentimental, it doesn’t really hamper the plot – indeed, it should probably be expected, with a title like Tarkin! So overall, I liked it a lot!